The Point Bennett is named after the westernmost point on San Miguel Island. The point takes the brunt of the NW wind and swell in Southern California, and waves break over the many reefs surrounding it. It is the most challenging point to round in the region. 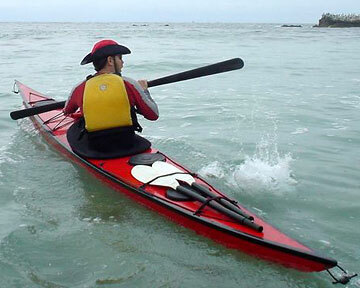 The Point Bennett is designed to track well in wind and waves, carve edged turns, and paddle fast. The rocker is moderate at the bow and minimal at the stern to reduce weather cocking and broaching. The chine is fairly low with minimal upsweep to help carve edged turns. Moderate fullness in the bow and more in the stern increases the effective waterline length to reduce resistance at high speeds. Point Bennett next to CD Gulfstream in Newport Harbor, California. The Point Bennett can carry a properly distributed load. Packing like a backpacker, I've had no problems carrying camping gear and food for trips up to seven days. 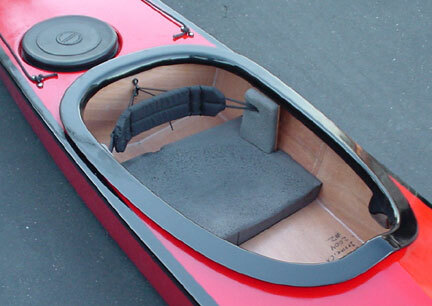 With a load the kayak generally handles best with about two-thirds of the weight in the rear hatch. Cabrillo Beach, California. Photo by Dave O'Connor. Bay2Bay 20 Mile Race in 03:20:55. Catalina Island crossings and circumnavigations in 2004 and 2005. San Miguel Island circumnavigation and crossings to Wilson Rock and Richardson Rock. Link. Catalina for Lunch, 2nd, 3rd and 4th Annual. Link. 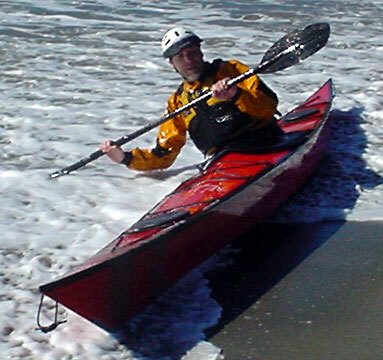 Anacapa Island crossings and circumnavigation in 2005. Catalina Island crossings and West End circumnavigation in 2006. Catalina Island crossings in 2007. Laguna Beach, California. Photo by Victor Martin. The instructions for building the Point Bennett are online at the links below. 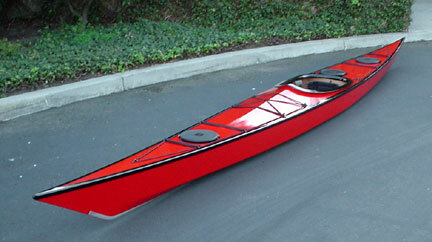 You may use the instructions to build your own kayak for non-commercial purposes. This page © Copyright 2004-2007, Duane Strosaker. All rights reserved.